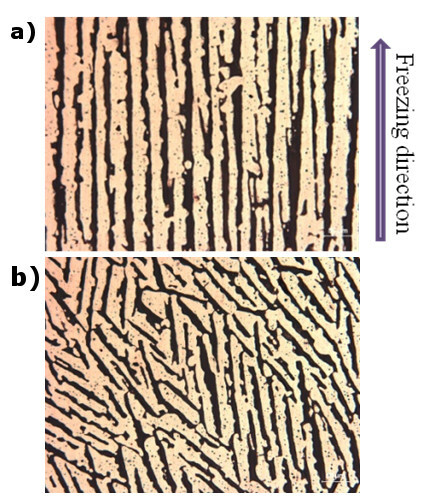 Freeze-casting is a simple and cost-effect method to produce elongated pores in sinterable materials. This method is well established for producing porous ceramics but had never been applied to metals, until recently when Chino and Dunand, Li and Dunand and Aurelia and Dunand [1-3] used it to create titanium and copper with elongated pores, starting from titanium and copper oxide powders. Here, we continue to develop and establish the freeze-casting process for copper and nickel with potential applications in energy areas. Eventually, under the direction of Prof. Heeman Choe from Kookmin University (Seoul), copper and nickel foams with high specific surface area will be coated with a catalytic material and applied for the current collector of a Li-ion battery and the DSSC counter-electrode free of In, Sn and Pt. Currently, freeze cast W-foams are also being developed with Sandra Häberli, André Röthlisberger and Professor Ralph Spolenak at ETH Zurich. 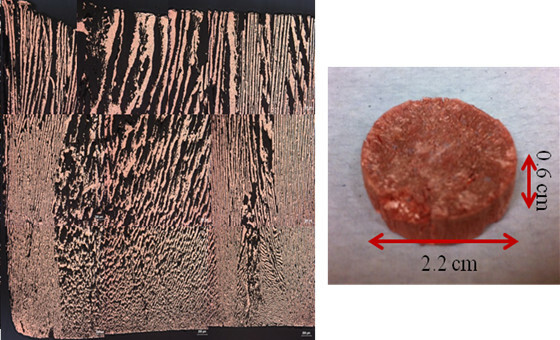 FIGURE 1: Copper with elongated pores produced by directional freeze casting of CuO powders, followed by ice sublimation, and heat treatment to reduce the oxide and sinter for metal powders. Chino, Y.; Dunand, D.C. "Directionally freeze-cast titanium foam with aligned, elongated pores", Acta Mater. 2008, 56 (1), 105-113. 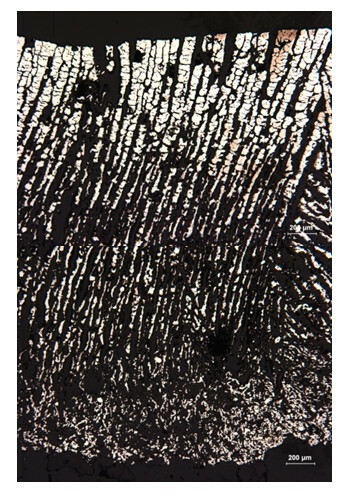 Li, J.C.; Dunand, D.C. "Mechanical properties of directionally freeze-cast titanium foams", Acta Mater. 2011, 59 (1), 146-158.